Samsung Galaxy Mega reportedly delayed until July. Waiting for bigger jeans pockets? When Samsung announced its massive Galaxy Mega 6.3 smartphone back in April it pledged a May launch in the UK, but by all accounts that isn't on the cards anymore. As reported by The Inquirer, the massive smartphone has turned up on Carphone Warehouse's coming soon page, which quotes a July release date. 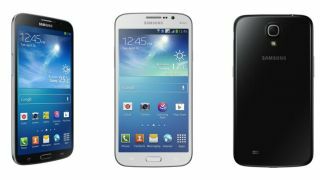 What's caused the apparent delay isn't known, but it may be that Samsung has ploughed its efforts into meeting the demand for the flagship Galaxy S4 smartphone rather making than this mid-range effort. The Carphone Warehouse page doesn't give an exact date, neither does it quote pricing or network availability, but it seems certain that the retailer will offer contracts with all of the top carriers. The Samsung Galaxy Mega 6.3 was unveiled alongside the Galaxy Mega 5.8 in mid-April as lower-spec alternatives to the best-selling Galaxy Note 2 device. Samsung immediately confirmed that Europe would only be getting the 6.3-inch device, which rocks a 1.7GHz dual-core processor and Android 4.2 Jelly Bean. The device also brings an 8-megapixel camera on the rear, 4G LTE support and a large 3,200mAh battery.